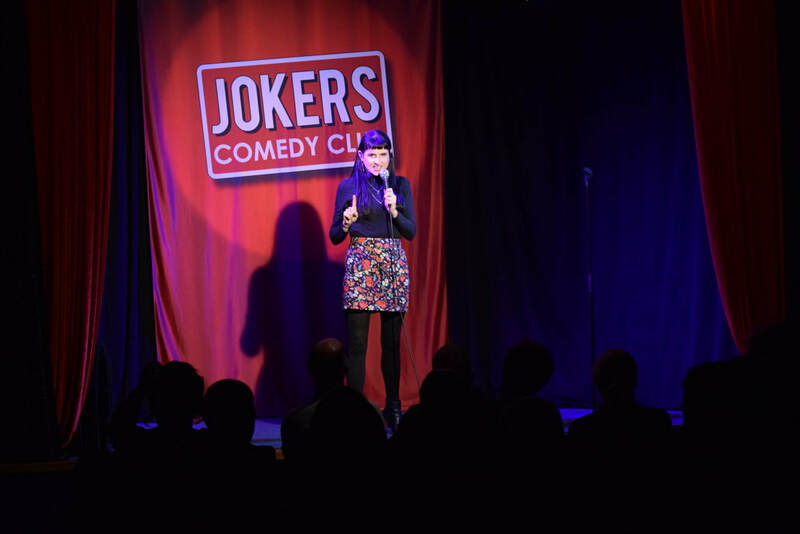 Every Wednesday night Jokers presents a brilliant line-up of professional comedians to keep you laughing. Featuring headline comedians from all over Australia and overseas plus hilarious support acts - you are always guaranteed a great night out! From the biggest household names to the most exciting new comedic talent, our curated line-ups are the best in town. The Polish Corner is available for functions and is the perfect place for your wedding, party, staff function, quiz night or meeting. You can even talk to us about providing comedy acts for your function or event. Jokers is wheelchair accessible and parking near the door is available. Please email or call us for details when booking. 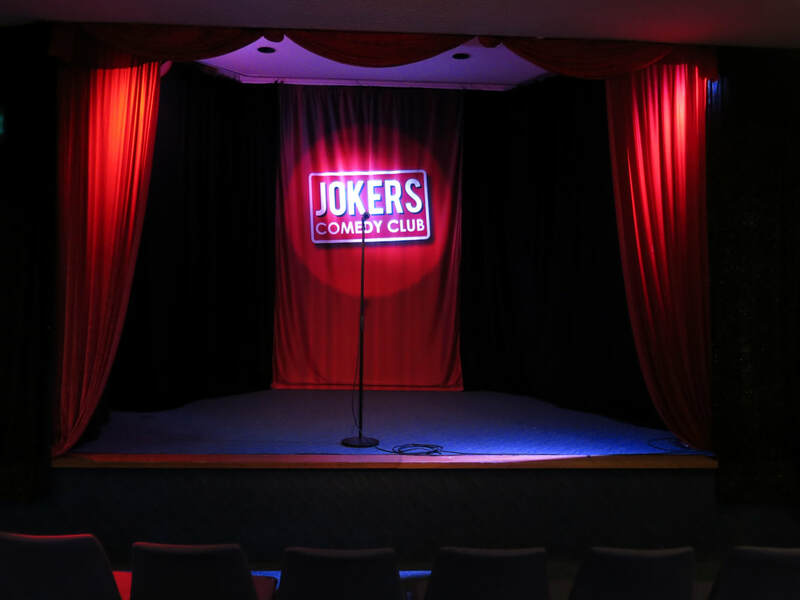 Jokers is produced by comedian Gavin Baskerville and Jane Christie-Johnston at Ta-Daa! Professional Entertainment, in partnership with The Polish Corner. Gavin and Jane have many years experience running professional comedy nights and venues including Three Degrees Comedy at the Melbourne International Comedy Festival (2007-2013), Laugh-Aid Comedy Gala Fundraisers (2008-2010), Impro-Vice (2007-2010), The Lower House Comedy Lounge (2010-2013), Kingston Comedy Bar (2011-2012) plus the Tasmanian RAW Comedy state heats and finals (2012-2015). Jeff Green, Judith Lucy, Denise Scott, Damian Callinan, Dave O'Neil, Peter Rowsthorn, Anthony Morgan, Tony Martin, Greg Fleet, Michael Chamberlin, Claire Hooper, Mel Buttle, Bob Franklin, Cal Wilson, Peter Berner , Rod Quantock, Rachel Berger, Heath Franklin's Chopper, Adam Richard, Mikey Robins, Tommy Dean, Richard Stubbs, Daniel Townes, Chris Wainhouse, Lawrence Leung, Katie Burch, Justin Hamilton, Josh Earl, Ethel Chop, Dave Callan, Mick Meredith, Dilruk Jayasinha, Jimmy James Eaton, Darren Casey, Chris Franklin, Merrick Watts, Jan Gintberg, Nath Valvo, Simon Palomares, Laura Davis, Asher Treleaven, Xavier Michelides, Bart Freebairn, Andrew McClelland, Mike Goldstein, Des Dowling, Ivan Aristeguita, Gordon Southern, Showko, Sami Shah, Geraldine Hickey, Bev Killick, Tom Siegert, Christine Basil, Gavin Baskerville, Tracey Cosgrove, Rusty Berther, Troy Kinne, Kelly Fastuca, Tien Tran, Jacques Barrett, Xavier Susai, George Youngman, Rob Braslin, Tori Hodgman, Tim Logan, Trent Baumann, Ben Payne, Pierre Joubert, Chloe Black, Mick Davies, James Warren, Annie Harvey, Ben Klingberg, Matt Young, Chris Menezies, Stewart Bell, Kerri Gay, Maedi Prichard, Steve McNees, Timothy Clark, Ryk Goddard, Stewart Bell, Chloe Escott, Morgan Meehan-Lam, James Davidson, Mel K, Angus Reynolds, Anna Kidd, The Birdmann, Ned Townsend, Sally Rose McShane and many more.